Looking for a Project Management solution that does it all? 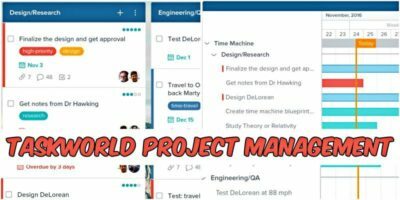 Taskworld has a lot to offer and even more features like Conversations, Timeline, and Analytics. Give it a try! If you are an Android user, there are a number of apps for keeping tasks organized. Here are six to-do list apps that help you manage your tasks. There are no lack of to-do list apps for Linux, and with a powerful tool like Evernote or Wunderlist, one might wonder if there is any more room for new task management app. Nitro is relatively new to the “to-do” list scene, but its beautiful interface and the ease of use did turn some heads and attracted some attentions. Let check it out!